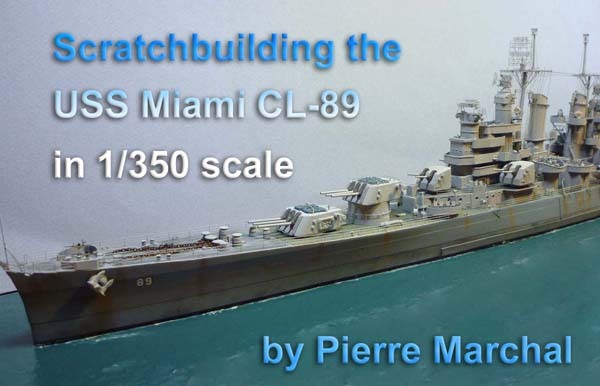 This is the USS Miami CL-89 a late square bridge Cleveland class cruiser. The ship is based on the Floating Drydock plans from Thomas Walkowiak as she appeared in 1944 when painted in dazzle camo. I found a photo of her in early 1945 in the Ms-22 camo and painted her in that measure with the 1944 armament. The ship is completely scratchbuit with the exception of some L'Arsenal fittings that were used. More of Pierre Marchal's work.